Up to 45 high performance athletes and thought leaders from USA Track & Field’s Athletes Advisory Committee are gearing up for a visit to Bermuda this month. They’re travelling out here to participate in a series of meetings, held annually, to help set the organization’s strategic goals for the year ahead and provide development training sessions for athletes. The Bermuda Tourism Authority-inspired visit will take place October 18th – 21st, 2018, during a time of year when the tourism industry focuses on attracting teams and other groups. The Hamilton Princess Hotel & Beach Club will serve as host hotel. Team USA Track & Field (USATF) stars Darrell Hill, Kara Patterson, Will Claye and Queen Harrison are among the members of the team expected to make the trip to Bermuda. Arrangements are being made for the group to engage Bermuda’s students while they’re here, with an aim to inspire them into the sport of track and field and encourage active lifestyles in general. 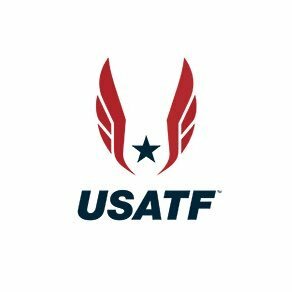 Visit www.usatf.org to learn more about the organization. Hazel Clark, recently named director of sports business development for the Bermuda Tourism Authority, is a member of USATF and a three-time Olympian. She worked with her colleagues in the sport to attract its annual retreat to Bermuda. “It’s exciting that the first piece of business I landed in the new job is with my former fellow athletes. I’m grateful to be working with a variety of on-island partners to ensure my first clients – many of them long-time friends – have a great Bermuda experience during their annual retreat,” said Clark. In addition to being an Olympian for the United States, Hazel Clark is also a seven-time national champion. She joined the Bermuda Tourism Authority in late July as the organization’s first-ever director of sports business development. She came on-board as part of an organizational restructure that was designed, in part, to grow the volume of sports tourism business to Bermuda.